Miami fitness supplements with organic lycopene a perfect antioxidant for heart protection during sport activities. An stronger organic antioxidant action improving athlete performance in sports as football, soccer, basketball, body building. Organic Sports Dietary Supplements manufacturing sport diet supplements to pharmacy distributors and athelete food dietary industry range of powerful "Organic Dietary Supplements" according to the diet health international standards, using our made in Italy organic lycopene, the perfect organic antioxidant. Natural nutraceutical for the improvement of sports performance in safety, with Lycopene Organic. THE PHYSICAL ACTIVITY INVOLVES an imbalance between the PRODUCTION OF FREE RADICALS (the greater the oxygen consumption of the cell and the greater will be the production of radicals) and their disposal. This phenomenon is known as OXIDATIVE STRESS, and is the basis for many chronic diseases, including cardiovascular diseases, the phenomena of accelerated aging, and many others. In these cases, especially in presence of unbalanced diet, the endogenous antioxidants may not be sufficient and therefore it is essential an INTEGRATION WITH APPROPRIATE ANTIOXIDANTS (lycopene, Vitamin C, Vitamin E and others) to counteract the harmful effects of free radicals produced by intense efforts. Cardiovascular and coronary heart diseases are the main causes of early death in many developed countries across the world. They are caused by the formation and the development of an atherosclerotic plaque on the internal walls of the arteries. This process is due to the oxidisation of low density lipoproteins (LDL), which produces lipidic deposits (atheromata). LDL is the main carrier of cholesterol into the blood stream. Oxidized LDL (LDLox) are not able to play correctly their role and are removed and destroyed by macrophages. When a LDLox excess occurs, the macrophages become larger, change their aspect and accumulate on the walls of the arteries. The gradual build up of these deposits causes the arteries to narrow and harden, restricting the flow of oxygenated blood to the heart muscle. This can cause angina and, if a coronary artery becomes completely blocked, it can cause permanent damage to the heart muscle or heart attack. 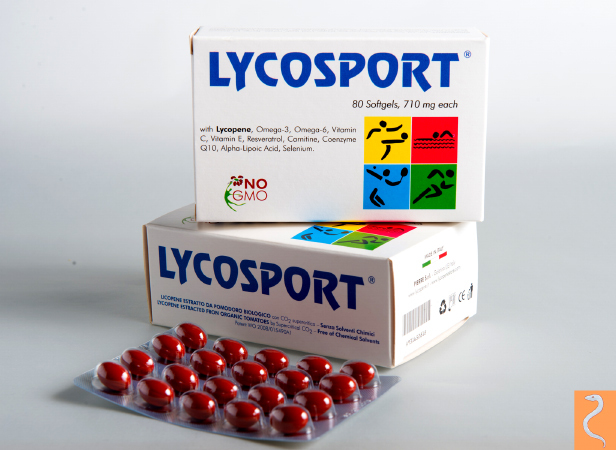 Lycosport contains mainly organic Lycopene, free of any chemical solvents and other toxic contaminants (no pesticides, dioxins, heavy metals, PCBs). 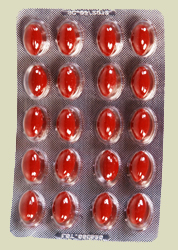 Lycopene also has other important benefits to human health, counteracts the formation of tumors (prostate, digestive tract , liver, skin), degenerative disease of the central nervous system (Alzahimer, Parkinson's disease), some forms of diabetes (mellitus), macular degeneration (AMD) and aging of the skin. The commercial lycopene (synthetic or natural) obtained with processes using chemical solvents, toxic and dangerous, the Pierre Organic Lycopene is obtained by extraction from the organic tomato without chemical solvents. The Pierre organic Lycopene is patented WO 2008/ 015 490 A1 and is the only type of lycopene 100% natural and certified organic. ORGANIC LYCOPENE is extracted from organic tomatoes by carbon dioxide (CO2) in supercritical conditions. 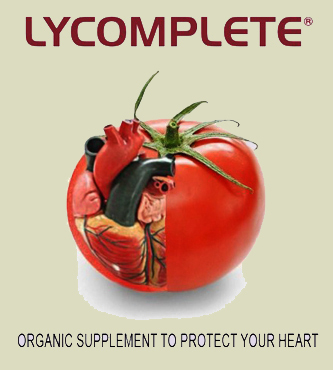 Organic Lycopene is the only one lycopene 100% natural, solvents free, and certified "organic". The product is also free of toxicity and present high level of natural bioavailability as well as high level of anti-oxidant and anti-cancer activity (at least 100 times more than lycopene, synthetic or natural, in isolated form. RESVERATROL perfomances aa antioxidant and anti-inflammatory. Resveratrol counteracts the oxidation and cardiovascular risk, helps to reduce total cholesterol, triglycerides and protects LDL and VLDL oxidation. It also promotes the production of nitric oxide (NO) and helps to reduce hypertension. VITAMIN E is an antioxidant molecule par excellence. It protects the lipids of cell membranes, the main target of free radical oxidation. Vitamin E is one of the most active substances against free radicals derived from oxygen, it is important for the reduction of cardiovascular risk and other issues. This vitamin is also essential for the proper functioning of muscles and immune system. VITAMIN C is a water-soluble antioxidant vitamin that performs many functions in the human body. Vitamin C is essential for the synthesis of collagen and plays an important role in the formation of bone cells. ALPHA LIPOIC ACID - ANTIOXIDANT important antioxidant needed by the body to counteract damage associated with the action of free radicals and for the production of energy. Alpha Lipoic Acid plays a key role in cellular energy metabolism of man is involved in the transformation of glucose (blood sugar) and fats into energy. This molecule acts synergistically with other antioxidants, complementing and enhancing the defensive action. Alpha Lipoic Acid neutralizes reactive oxygen species and is essential for the regeneration of the oxidized forms of Vitamin E, Vitamin C and Glutathione. FATTY ACID OMEGA 3, OMEGA 6 reduce risk of cardiovascular and inflammatory diseases (is the anti-inflammatory effect of athletes). Omega 3 fatty acids counteract the onset of inflammatory processes and to reduce cardiovascular risk (reduction in the level of LDL cholesterol and triglycerides) also have effects on the central nervous system by improving the synaptic transmission. They regulate the connections between cells, improve response mechanisms of the immune system and endogenous anti-inflammatory, in all body cells. CARNITINE CONVERT FAT IN ENERGY amino acid that body uses to convert fat into energy. Despite not be considered an essential nutrient (since the body is unable to synthesize in the liver and kidneys from the amino acids methionine and lysine), carnitine is often taken as a dietary supplement, to increase the consumption of fat reserves for energy and/or weight loss. Carnitine can also limit the accumulation of lactic acid in the muscles, helping to improve sports performance ( Nutrition 2004; 20:709-15). 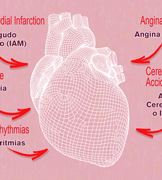 In the medical field carnitine is usually administered to people with heart problems. The heart consumes mainly fatty acids to meet their energy requirements and the presence of carnitine is important to ensure the efficiency of this system of energy production. Recent studies show that carnitine also plays an important role in lowering blood levels of cholesterol and triglycerides. SELENIUM NATURAL ANTIOXIDANT It delays the oxidation of polyunsaturated fatty acids, keeps skin supple and protects it from aging. Selenium protects against chronic diseases, strengthens the immune system, stimulates the metabolism by facilitating the rapid removal of adipose tissue. It is particularly suitable for those who tend to be overweight due to hypothyroidism, thyroid dysfunction. Selenium helps the body to absorb iodine, a trace element necessary for the activity of the thyroid gland involved in energy metabolism with a natural action "fat burning". HOW TO USE We recommend taking 2 capsules per day during the main meal accompanied by a generous sip of water. 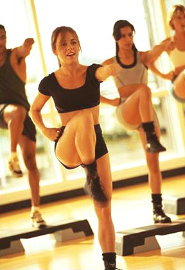 The physical activity causes an imbalance between the production of free radicals and their disposal (the greater the oxygen consumption of the cell and the greater will be the production of the radical). This phenomenon, called OXIDATIVE STRESS, is the basis for many chronic diseases, including cardiovascular diseases and accelerated aging. To counteract the harmful effects of free radicals produced by the intense efforts, especially in the presence of an unbalanced diet, the endogenous antioxidants may not be sufficient and it is an essential antioxidant supplementation (Lycopene, Vitamin C, Vitamin E, and others). LYCOSPORT FORMULATION is distinguished by its special formulation, consisting of a balanced mixture of natural compounds , antioxidants and amino acids. LYCOSPORT helps improve athletic performance, to effectively combat oxidative stress, and the deficiency of endogenous those active ingredients (Carnitine, Coenzyme Q10, Alpha Lipoic Acid), which are necessary to facilitate the transformation of fat into energy. Recent studies and scientific publications demonstrated that lycopene has a significant antioxidant activity, twice higher than β-carotene and 10 times than vitamin E.
LYCOPENE SOURCES Lycopene is a carotenoid, a group of compounds present in many fresh fruits and vegetables. There are more than 750 types of carotenoids in nature; however, only 20 of these have been found in human blood and tissues. The carotenoid most often present in human blood is lycopene ,followed by b -carotene, lutein and zeaxanthin. RED RIPE TOMATOES THE MAIN SOURCE OF LYCOPENE and their derivatives are the main natural source of lycopene giving approximately 85% of all lycopene in the human body. The amount of lycopene in tomatoes depends the quality of fruit, the environment and cultivation procedures. Usually, the content of lycopene in red-ripe tomatoes is 30-80 mg/kg of fresh product, but it could be more than 150-300 mg/kg in some selected species obtained by traditional hybridization techniques. We offer our full dietary, food and health care supplements manufacturing knowledge plus our engineering capabilities to create, design, produce new supplement products, in Private label, for manufacturers and distributors. Miami Business Guide is a complete list of us health care suppliers, insurance health care vendors, manufacturers guide and professional US companies from USA convinced and prepared to support DIRECTLY your Business with quality, pricing and customer service,USA health care, Chemical products, Olive Oil, Clothing, Apparel, Machinery, Industrial supplies, Tiles,.. LIST YOUR MIAMI USA INTERNATIONAL HEALTH CARE MEDICAL SUPPLIES INSURANCE SUPPLIERS AND VENDORS BUSINESS HERE !!! MIAMI MANUFACTURING BUSINESS GUIDE "YOUR GATEWAY TO THE AMERICAN MANUFACTURING SUPPLIERS"